This trip takes you up two of Ecuador’s most popular volcanoes, of which three have beautiful snow-capped peaks: Cotopaxi, Carihuarizo and Chimborazo. The trip starts with a series of acclimatization adventures. First you will go on a city tour of colonial Quito and visit the Equatorial Line. The following days are filled with acclimatization hikes, up Pichincha and El Corazón. 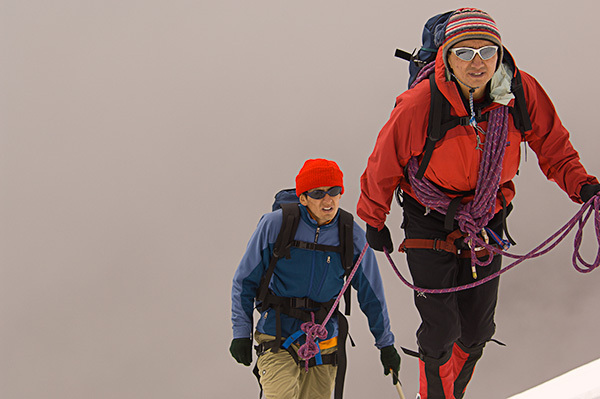 The trip culminates with the summit of Iliniza Norte, one of the World’s highest active volcanoes- Cotopaxi , Carihuairazo and an ascent of Ecuador’s tallest peak, Chimborazo. After your summit climb on Cotopaxi, you will be treated to a day of rest and relaxation in a nearby resort village famous for its hot springs. The first peak we will climb is called Pichincha. It is close to Quito. The Pichincha is an important historical landmark for Ecuador, as this was the site of the Ecuadorian Independence battle. 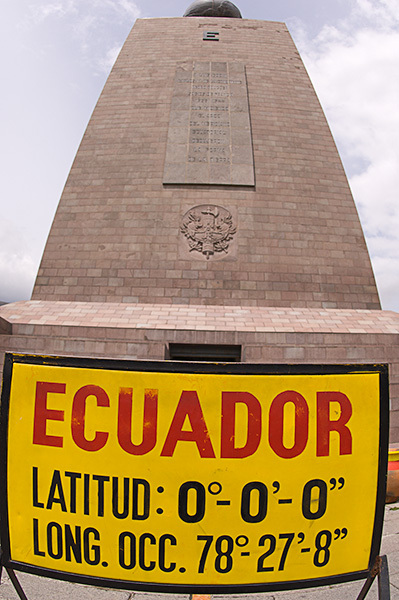 It was here that the defeat of the Royalist forces loyal to Spain marked the liberation of Quito on May 24, 1822. Then we begin our next acclimitization adventure- summiting Iliniza Norte. It is also a fun climb with some exciting scrambles well suited for the adventurous hiker. The ascent of the northern peak starts as an easy climb to the saddles dividing the North and South peaks. 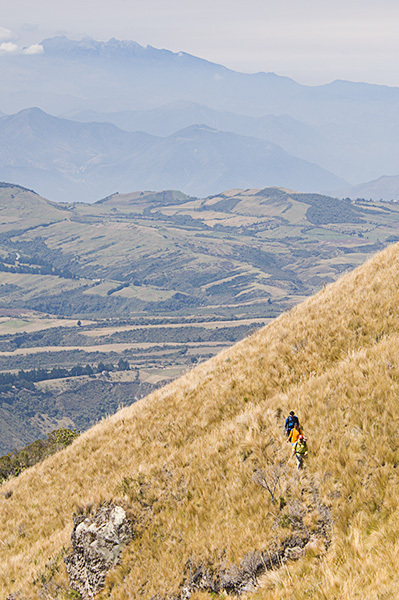 Then the following day we travel along the ridge, called La Ensillada, on the west side of the mountain to Iliniza North. Midway up we encounter various easy scrambles (rock class rating of 5.3 or less) up rocky knolls and around some large boulders. Our climb concludes with a challenging finish up the rocks at the summit marked with a small iron cross. Then we travel to Cotopaxi, where we will have a glacier travel skills review. The following day we summit this grand volcano. At the top you will be able to stand on the snow covered rim and look inside the crater to see its sulfur fumaroles and enjoy the panoramic views of the adjacent snow-covered volcanoes. Finally on to Carihuairazo and Chimborazo, both within the Chimborazo Wildlife Preserve. At 6,310 m(20,702 ft), Chimborazo is the tallest peak in Ecuador, and is among the most impressive in all of the Andes. Since the Earth bulges near the equator this snowcapped giant is not only the highest mountain in Ecuador, but also the highest in the world if measured from the core of the Earth outward to its peak. There were a number of summit attempts by Europeans of this local giant beginning in 1736 with the French explorers, but it wasn’t until 1880 when Edward Whymper successfully made it all the way to the peak. The peaks we climb require ice-climbing equipment (basic rental equipment included in the trip package), excellent physical condition and lots of stamina. These are not technically difficult climbs, but there are periods when hard ice conditions can make them very challenging. You will have a couple of rest days after your higher summit attempts. 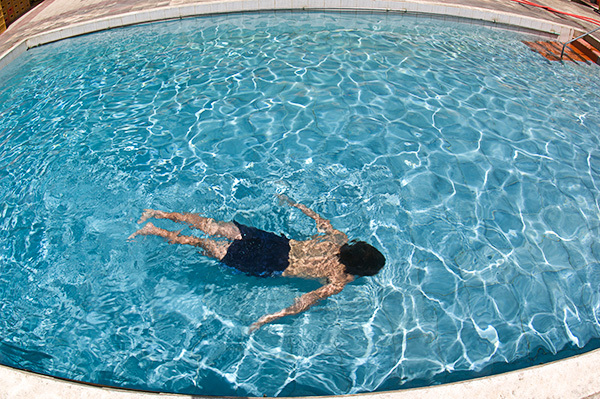 The first takes advantage of the thermal hotsprings in Baños, a popular resort town. The streets of this quaint town are lined with shops and outdoor cafes, and the mild subtropical weather is perfect for leisure outdoor strolls and dining. The main attraction in Baños, though are the luxurious thermal springs- and rejuvenating in the healing springs is the perfect reward after a strenuous ascent up Cotopaxi! The trip ends with a ride atop one of Ecuador’s most famous trains. We will take the train that runs through a 100-kilometer stretch from Riobamba to Sibambe. The train travels south from Riobamba through a few small towns and large expanses of open country before arriving at Alausi, where it begins a hair-raising descent of the Devil’s Nose. Most travelers sit on top of the rail cars to take advantage of the spectacular vistas. The railway snakes up a mountain known as El Nariz del Diablo (The Devil’s Nose). This nearly vertical wall of rock was the greatest natural obstacle engineers encountered during construction of the Southern Railway, and one of a string of blunders that nearly smothered the dream of connecting Guayaquil and Quito by rail. In retrospect, the mistake of going over instead of around the Devil’s Nose has become a point of engineering pride. A team of engineers came up with an ingenious solution of carving a series of tight zigzags into the side of the mountain, which allowed the train to climb a gradient of 1-in-18 from 1800 to 2600 meters, by going forwards then backwards up the tracks which limits the speed that the line can go. Every effort will be made to adhere to the itinerary, but unforeseen circumstances may require last minute changes. Weather conditions, road conditions, vehicle breakdowns and the health of climbers can all contribute to schedule alterations. Please be prepared to be flexible when necessary. seen enough? ready to sign up? We are a small and dynamic guide service owned and operated by ASEGUIM Certified Mountain Guides. We provide quality small group tours that have a positive impact on the local culture and environment. 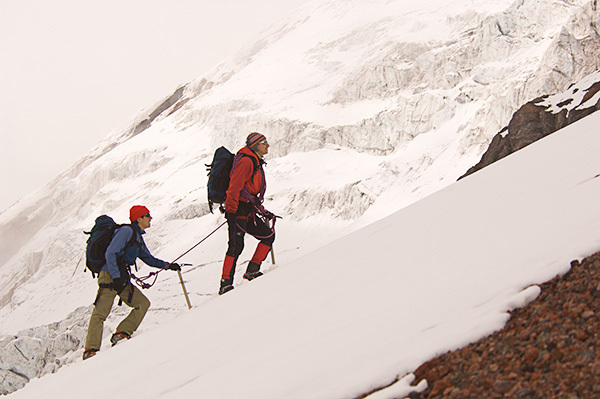 We offer a number of packages that will fit your personal travel goals: tours, treks, climbs and expeditions.